For those about to rock, we salute you! And for those about to drink some coffee, we salute you too! 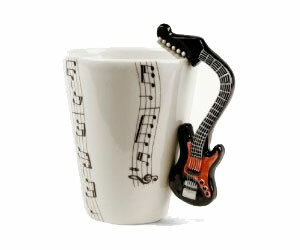 Now go and salute yourselves with this funky guitar themed coffee mug!